As two of the biggest names in e-Readers, Kobo and Kindle both offer excellent value… but which is better for your needs? Amazon has dominated the e-book market from the beginning. In many ways, they pioneered it. But there are other brands making a run for the throne these days. The biggest of the Kindle competitors? Kobo. They offer a full line up of e-readers, their own store, and many comparable services. But which company should you choose? This guide offers a head-to-head comparison of similar models and looks at the most popular e-reader features to see how they compare between brands. If you’d rather skip the comparisons, we think the Kindle Paperwhite is an ideal choice for most people. The hardware isn’t as nice as Kobo’s similarly-priced Clara HD. But easy access to Amazon’s massive selection of content means you’re more likely to find your favorite reads in the store. Amazon’s exclusive WhisperSync feature also means you don’t have to scramble for a USB cable or Wi-Fi connection to keep your e-reader stocked with books. Basically, what the Paperwhite lacks in terms of polish to the Clara HD, it makes up for in easy use. 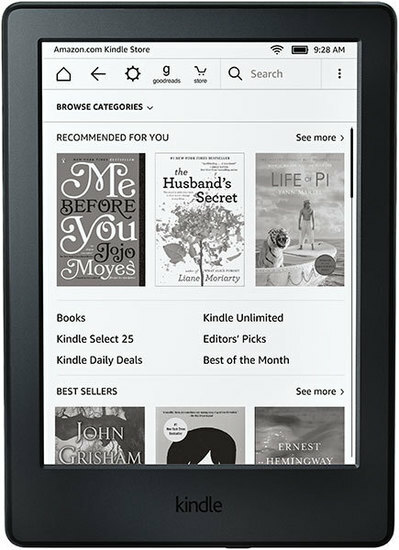 Both Amazon and Kobo offer a full line-up of e-reader models with a range of features, sizes and prices. To help make things clearer on which might be the best e-reader for you, we’re comparing each of the models at similar price points or specs. Our verdict in this match-up is hard to make. 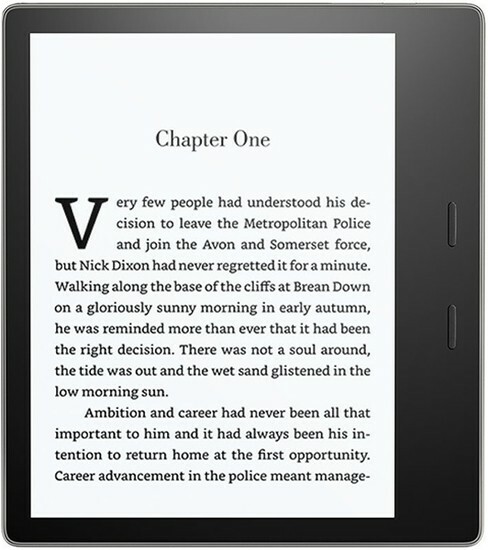 At the baseline level, if you’re looking for a no-frills e-reader experience, we think the Kindle offers better value. However, if you can afford an Aura, we’d recommend skipping both and checking out the pairing just below. You’ll get all the features of the Aura and a few extras for only a slight cost increase -- likely the price of just a few e-books. The verdict for this one comes down to preferences. If more storage space and a blue light reduction mode are worth losing easy access to Amazon's stores and programs, the Clara HD is an awesome device. If 3G/4G access or waterproofing are essential, the Paperwhite is the only choice. For the majority of readers, we think the Paperwhite is the right choice. It offers plenty of storage space and the non-adjustable backlight can be dimmed -- and even disabled completely -- for late-night reading. All while providing access to more than 6-million titles. That's a pretty compelling sell. Putting these two head-to-head largely comes down to personal preference. If you don't mind buying books from sites other than Amazon and don't need 3G/4G access, the Forma offers a level of customization the Oasis can't touch. There's also nearly an inch more screen. This doesn't sound like much, but makes a big difference when reading. The Oasis on the other hand offers the ultimate Amazon reading experience. Its integration with Amazon's massive ebook collection and 3G/4G Whispersync make it possible to keep your reading list full from virtually anywhere. But the metal case might be an issue for some -- it is hard, it gets cold, and while the balance on the ereader is good, that bulge on the back is definitely different. Ultimately, if you read a lot of heavily formatted text or visual novels, the Forma probably edges out the Oasis for you. If you prefer easy access to a vast selection of books -- or you're already heavily invested in Amazon's services -- the Oasis offers a premium experience at a premium price. But added the bells and whistles adds $100 to the price -- bringing the Oasis closer in price to an iPad than the price of most e-readers. E-readers are designed for one thing -- reading books. And they do it well. But that also means that most models offer many of the same features. So what sets them apart? Typically it’s the little things that make big differences. Here’s how Kindle and Kobo compare overall on the most popular features. How Does the Book Selection Compare? An e-reader isn’t of much use without something to read -- so in the case of book selection, size matters. In mid-2018, the Amazon bookstore was home to more than 6-million e-books. According to Kobo, their store includes more than 5 million e-books and audiobooks. Unfortunately, we have no way of knowing how much of that 5-million is e-books and how much is audiobooks. Regardless of the actual number, Kobo’s book selection can’t quite keep up with Amazon’s. Especially when you consider how many of the books included in those totals are free public domain books like you can already find on sites like Project Gutenberg. If the books you read are often from a major publisher or an A-list author, there’s a good chance you’ll find them on either store. But if you’re looking for lesser-known or more obscure authors and works, Amazon will likely be the only option as they allow independent authors to publish directly to the Kindle Store. Both companies also offer an all-you-can-read subscription service for a similar price if you’d prefer to borrow your books instead of own them. Kobo calls their service Kobo Plus, while Amazon calls their’s Kindle Unlimited. Does Kobo or Kindle Offer Library Access? 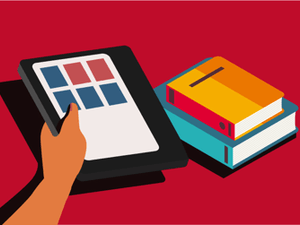 Checking out library books to your e-reader is even easier than an actual trip to the library. You just log-in to a website, find the book you want, and click checkout. Both Kobo and Kindle offer access to library collections around the world. They even use the same service -- Overdrive . All you need to use Overdrive is a supported device and your library access information -- often your email address or library card number and a password or PIN. Kobo and Kindle approach things a little differently but the process is simple with either. Can I Buy Kobo or Kindle Books and Devices in Retail Stores? Buying a Kindle in store will depend on your area. In the US, Amazon is slowly expanding its retail locations. However, most offer a small selection of Kindle e-readers and Kindle Fire tablets. If you’re outside the US, buying a Kindle e-reader often means going through the Amazon website. The e-books themselves are sold on a card, much like gift cards, that include a code you can enter in the Kobo store to redeem your book. Just keep in mind that you won’t be able to download it without Wi-Fi. For a full list of locations around the world, you can check Kobo’s retailers page. If access to retail locations is important to you, Kobo takes the lead over Amazon by far. How Do Screens on Kobo and Kindle e-Readers Compare? Both Kindle and Kobo use very similar screen technologies. Their e-Ink displays vary in resolution depending on the specific model, but nearly every one offers 300 pixels per inch (PPI). This results in sharp, easy-to-read text across a range of font sizes. Two exceptions to this are Kobo Aura H2O and the baseline Kindle. The Aura H20 only offers 265 PPI. The baseline Kindle is even lower at 167 PPI. While the difference isn’t particularly noticeable in the Aura H20 when compared side-by-side to a 300 PPI model, you'll notice a difference in sharpness on the baseline Kindle compared to newer models. If you’re looking for the largest screen available, Kobo takes the crown with their Kobo Aura ONE and Kobo Forma. Their 7.8-inch displays are the largest currently available and helps differentiate them from the rest of the models which mostly ship with 6-inch displays. The Kindle Oasis offers a middle-ground option with a 7-inch display. The Oasis, Aura ONE, and Forma bring one other trick to the party -- a flush screen. While most screens are inset slightly with a lip between the display and bezel, these three high-end models are completely flat. This makes for a nicer appearance and less shadows at the edge of the display. It’s also a bit more comfortable for using the touch controls as you’re not always bumping your finger against the lip on the display. Do the Lighting Options on Kobo's and Kindle's Differ? 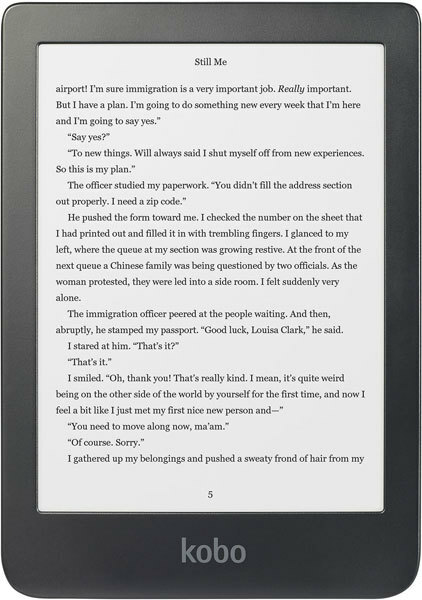 Nearly all e-readers by Kobo and Kindle include a built-in lighting option for nighttime reading. They use a line of LEDs arranged at the edges of the display. This illuminates with without directing the light directly at your eyes. The result is less eye strain and reduced glare. In general, high-end models use more LEDs while low-end models use less. While they all get more than bright enough for outdoor use, more LEDs creates a more even lighting across the screen. Kobo’s ComfortLight PRO feature -- available on every Kobo e-reader except the baseline Kobo Aura -- also allows you to mix the blue and orange LEDs to change the way the light looks. This reduces blue light exposure for better sleep and reduced eye strain for those late-night reading binges. However, there are rumors that Amazon will be releasing its own version of adjustable lighting in the next line of Kindle releases. How Does the Design Compare? E-reader design has remained fairly similar since their debut years ago. But both Kindle and Kobo are introducing features in more recent editions that change things up slightly in their high-end models. Apart from the Kindle Oasis, which sports a smooth aluminum rear shell, you’re looking at a range of plastic, rectangular devices. But Kobo and Kindle both take different approaches to design -- even if they use similar materials. Kindles are basic affairs with minimal flair and a somewhat matte finish. Kobo’s e-readers include rubberized grippy backs and rear-mounted power buttons that stand out from the rest of the design. The exception to this is, again, is the Kindle Oasis. It features an asymmetrical design that is thick on one side to hold the battery and thin on the other. While some of the initial Kindle models featured keyboards and physical buttons, most e-readers these days are controlled by touch screens. The exception to this currently is yet again the Oasis. It offers two physical page turn buttons on the same side of the screen that flip when you rotate the screen. If you’re looking to read poolside or in the bath, both brands offer waterproof options with Amazon recently adding waterproofing to the popular Kindle Paperwhite. As far as weight and build quality go, both brands are comparable and capable of surviving a drop or two and lasting for years is treated with care. 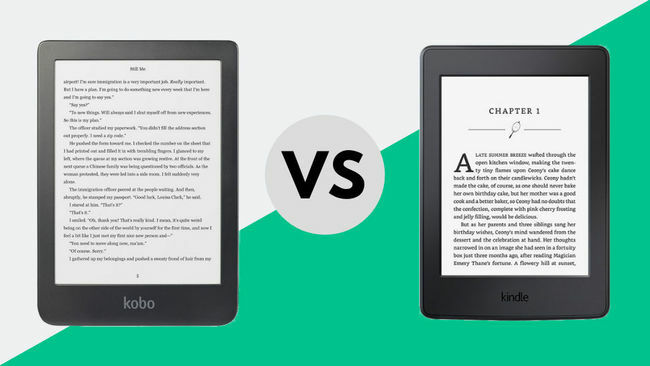 Which e-Readers Perform Better: Kobo or Kindle? Honestly, it doesn’t take much processing power to display e-books and flip through pages. Comparing the most recent models from both brands, performance is quite similar. The high-end models might flip pages slightly faster but, in general, you’re going to get a smooth, reliable experience regardless of your choice. Kobo and Kindle e-Readers: Which Offers More Storage? 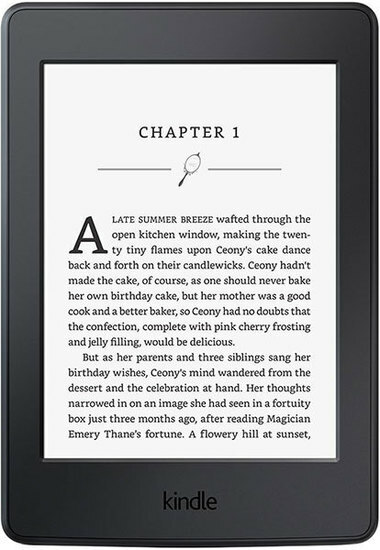 Most Kindle models offer 4GB of internal storage with the Oasis offering an optional 32GB. 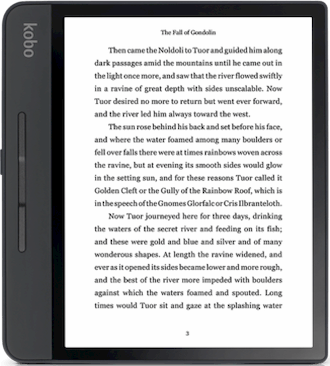 Kobo is more generous, offering 8GB on most models with more available on the Aura ONE and Forma. The important thing to consider is that neither company offers microSD support. So the space you buy is what you’re stuck with. That probably doesn't matter for the majority of users reading novels, news articles, and other basic text-heavy content. Even 4GB will take quite some time to fill. However, if you like to read PDFs, visual novels, manga, or comics, you’ll probably appreciate the extra space on offer from Kobo or the high-end Kindle model. What is the Software Like on Kindle and Kobo e-Readers? 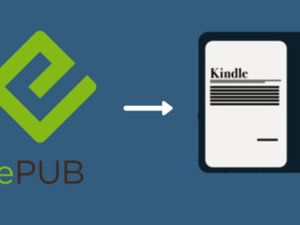 The software for both the Kindle and Kobo e-readers are similar in features. However, they’re both restricted to accessing their own brand’s stores. Both brands offer a set of reading stats, including reading speed, time to complete the current chapter or book, and page numbers and locations. On the reading interface side of things, Kobo’s focus is on customizing with a huge range of letter spacing, line spacing, font size, typeface, and other presentation options. There’s also basic note taking and dictionary access as well. Kindles, on the other hand, provide basic customization options but provide a bounty of extra information. There’s still all of the note-taking and dictionary features you find with Kobo. But you can also look up words and phrases on Wikipedia and use Amazon’s X-ray feature to learn about characters, settings, plot points, and a range of other aspects of the book you’re reading in a few taps. If you’re looking for a “smart” or enhanced reading experience, Amazon’s extras are pretty cool. But if you’d like to tweak how your books are displayed and really immerse yourself in the simple joys of reading, Kobo takes the lead. What Connectivity Options Do Kindle and Kobo e-Readers Offer? This is one of the few categories where Amazon takes an obvious lead. You can connect both Kindle and Kobo e-readers to your PC or Mac using a USB cable. But Amazon takes the lead when it comes to wireless connection options. Amazon’s WhisperSync service allows you to browse the Amazon store and transfer books to your e-reader from virtually anywhere in the world. Their 3G/4G WhisperSync network offers coverage in more than 100 countries and is free to use. The only fees you pay are when you buy the device. WhisperSync-enabled Kindles run a little more than their Wi-Fi only counterparts. In comparison, Kobo only offers Wi-Fi connectivity. If you don’t have access to Wi-Fi, you’re out of luck unless you want to hunt down a cable and copy files to your Kobo reader manually. That said, books tend to last a while, and free Wi-Fi is available in more places by the day. With a little planning, the issue isn’t exactly a deal breaker. Do Kindle or Kobo e-Readers include Ads? This is an area where Kobo takes the lead back. All Kobo e-Readers include zero ads by default -- excluding the bookstore because well… it’s a store. Amazon charges a fee to remove ads from their Kindle line-up. Though they prefer to say they give you a discount to allow them to display ads. However, if you buy a Kindle with “Special Offers” you can always pay to remove them later if you find them too intrusive. In Amazon’s defense, the ads are fairly non-intrusive. You’ll see them on the display when you’re not using your tablet and at the bottom of the screen when you’re looking at your book library. It’s not like they pop up in the middle of your books or require you to constantly close ads to get to things. But still, ads are ads. 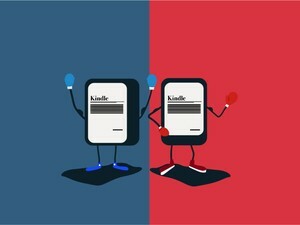 Who Has the Better Prices: Kobo or Kindle? As e-readers have gained popularity and the technology has improved, prices have come down significantly. Comparing similar models across both line-ups, prices are quite close -- especially when you account for the cost of WhisperSync or removing Special Offers on the Kindle models. Do you want a backlight with adjustable color temperatures? Is 3G/4G access important to you? Do you mind being (mostly) tied to Amazon content? Do you like the idea of being able to pick up e-books in a retail store? Both brands offer compelling experiences at similar price points and durable devices that will likely last for years barring major accidents. But Amazon offers a slightly better store experience and selection, while Kobo offers slightly better hardware. 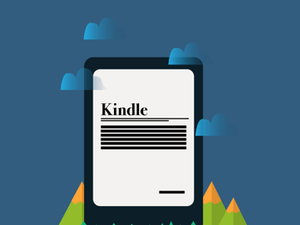 If you’re sold on the Kindle line-up we have a Kindle comparison guide to help you find the ideal option for your needs and budget. Curious about what Kobo has to offer? Many of their models made our picks for the best e-readers of 2019. You can also check the e-reader reviews for a comprehensive list of specs, reviews, or use our e-reader comparison tool to pick between your favorites.